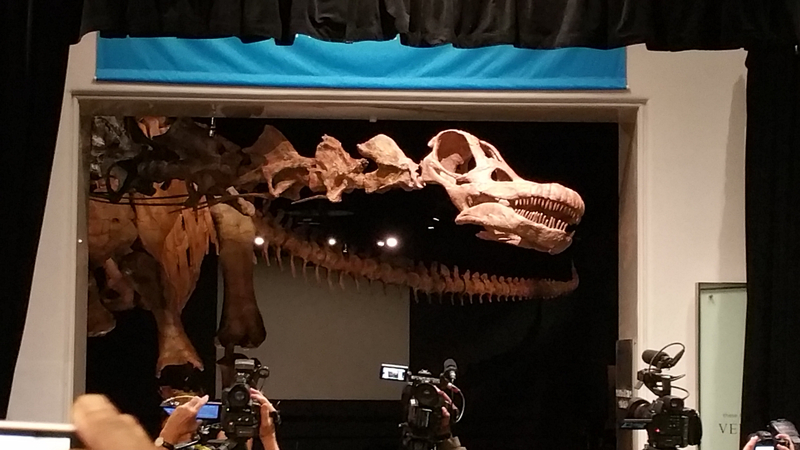 Titanosaur unveiling at the American Museum of Natural History, New York. In light of the American Museum of Natural History’s unveiling of their new 122-foot-long, 19-foot-tall Titanosaur, we offer a snapshot of the great dinosaur’s home in Patagonia, Argentina. Today Patagonia is a vast expanse of steppes and deserts; whereas 95 million years ago, during the Mid Cretaceous, Patagonia was a large lagoon, surrounded by forests and plains. Roaming this primeval world were some of the largest and most bizarre animals ever to live. Ancient tourists would have seen giant sauropods (long-necked dinosaurs) stretching over 120 feet long, weighing as much as 40 elephants; or terrifying theropods (carnivorous dinosaurs) bigger than T-Rex, with skulls the size of a full-grown man and teeth like bananas. Patagonia is a relatively new hotspot for dinosaur finds. An accidental discovery in the 1980’s of an immense dinosaur known as Argentinosaurus put Patagonia on the map. Since then, paleontologists have unearthed numerous giant dinosaurs along with nesting grounds revealing their tiny beginnings. Patagonia offers numerous locations to see dinosaurs on display or being discovered. 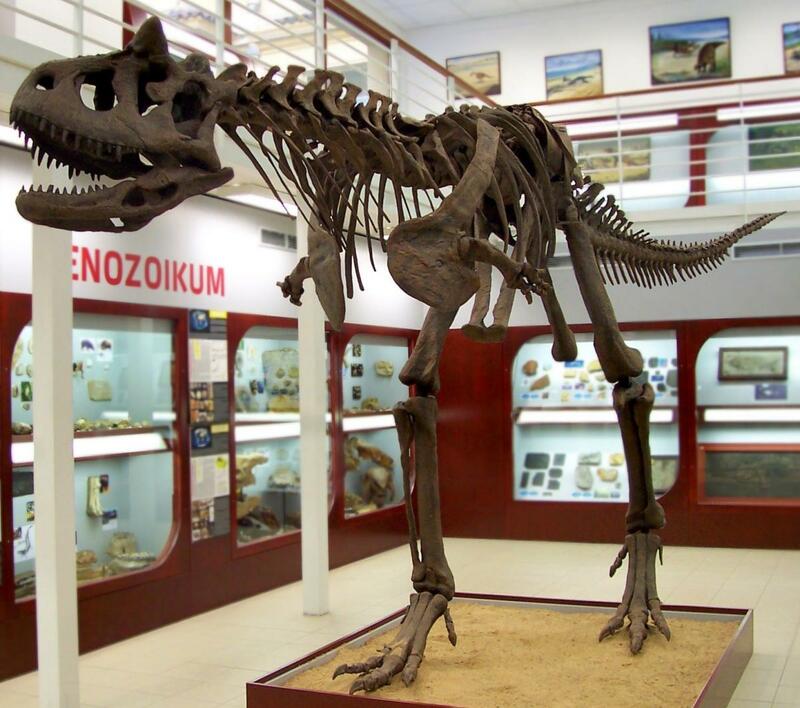 The Museum of Paleontology Egidio Feruglio (MEF) is located in the Chubut province (the nearest airport at Trelew is only a two-hour flight from Buenos Aires). 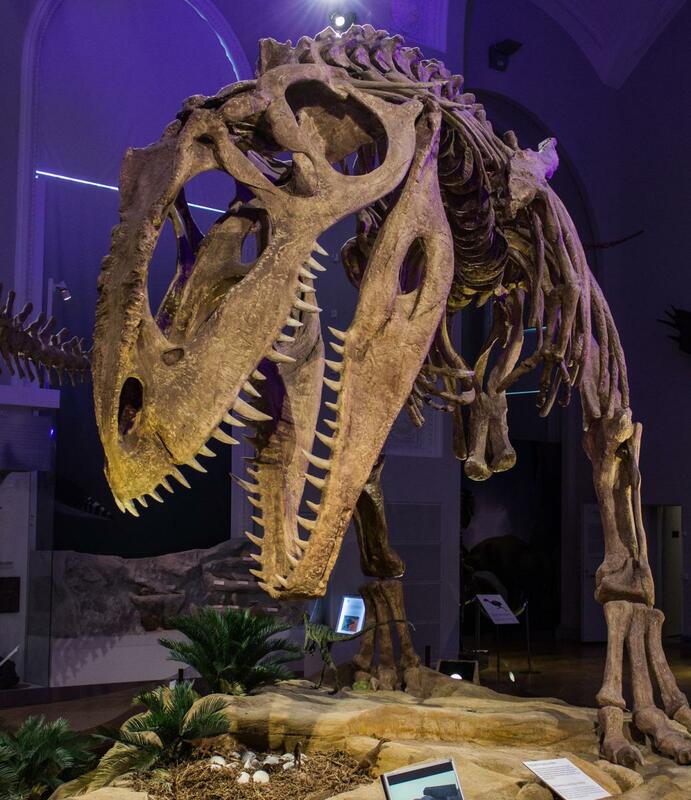 Their family friendly collection has over 1,700 fossils, including dinosaurs skeletons placed in prehistoric environments. The museum also offers educational programs for all ages, along with interactive exhibits, as well as tours of dig sites where families can see fossils in the process of excavation. Patagonia is also unique in its proximity to Antarctica. Visitors can explore many national parks and landmarks with views of glaciers and lagoons, and a variety of wildlife from pumas and horses to penguins and whales. A unique carnivore characterized by extremely small arms and a bumpy skull with two horns protruding over each eye socket. Relatively small (30 feet long, 9 feet tall) compared to surrounding fauna, Carnotaurus is thought to have hunted small animals, but it is also possible that it scavenged on fallen sauropods. The horns on its head have been hypothesized to aid in head butting, in a process similar to modern rams. Photo of Carnotosaurus from Prague Museum, courtesy Wikipedia. Another relatively small dinosaur (33 feet long, 10 feet tall), Amargasaurus is a sauropod from the Early Cretaceous, distinctive for the large spines protruding from its back. Made up of elongated vertebras, the spines may have formed a sail or remained uncovered, providing use for display, combat, or defense. 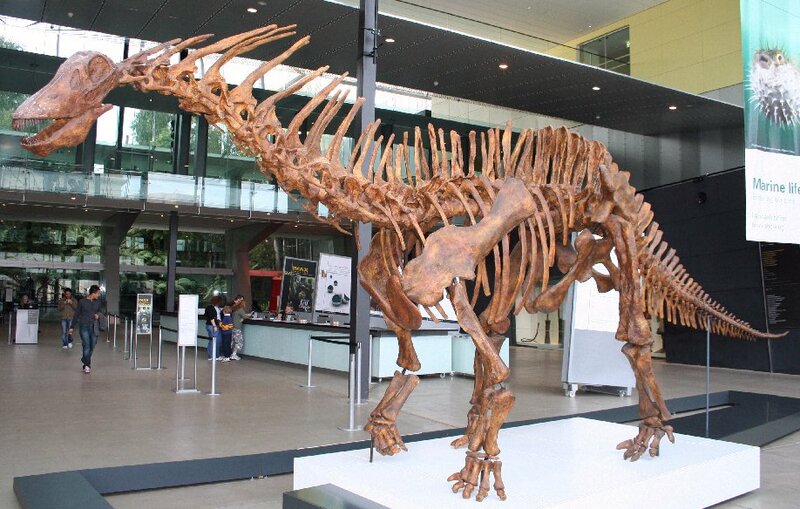 Photo of Amargasaurus from Melbourne Museum, courtesy Wikipedia. Step aside T-Rex, Giganotosaurus is the second largest land carnivore known to science (behind Egypt’s Spinosaurus aegyptiacus). Approximately 43 feet in length, 23 feet in height, and 10 tons, Giganotosaurus was a truly terrifying predator. A fossil find of similar carnivores that died together in a single bone bed have led scientists to believe that Giganotosaurus may have hunted in packs to take down large sauropod prey. Photo of Giganotosaurus skeleton by Sukram-C, Espoo, Finland, courtesy Wikipedia. Formerly the largest known land animal, Argentinosaurus has recently been dethroned by another find in Patagonia of a Titanosaur though to be almost 130 feet long. However, by no means can Argentinosaurus be considered small as it is thought to be anywhere from 70 to 110 feet long, and between 80 and 100 tons in weight. It took Argentinosaurus about 15 years to grow into adult size, at which point it was 25,000 times its original size. 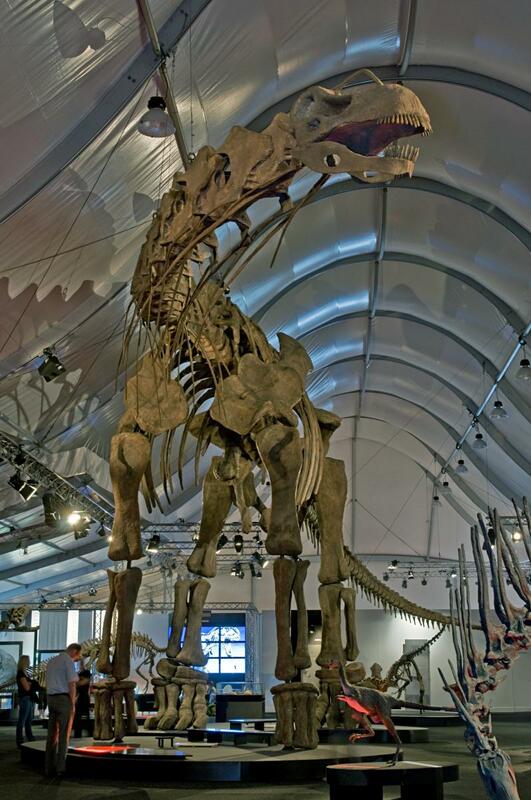 Photo of Argentinosaurus from Naturmuseum Senckenberg, courtesy Wikipedia. Since your first stop will be the museum, plan ahead on the website to check for special screenings in the MEF auditorium, talks, and museum sleepovers – where you can tour the collection with real scientists by flashlight. Every year, the last weekend in June, the museum is free to the public, and presents special programs for kids including behind-the-scenes tours. Any questions? Suggestions for other Dinosaur Dig Spotlights? Make sure to post in the comment field below. The Interpatagonia company provides a lot of information about dinosaurs native to Patagonia. Dinosaurs: Giants of Patagonia is a very cool video. For travel information, check out Lonely Planet and the country’s official tourism site, Argentina.travel, both useful sites for trip planning.